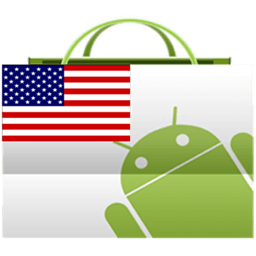 USA Android Market Android Market For USA is an application like android market for people who are in USA or people who wanted to access apps related to USA. Please note that some of the apps may not be installed on your device even though in the USAAndroid Market due to restrictions by google(ex: some apps cannot be installed on rooted device etc..). Don't give negative comments based this. Known Bugs: There is some issue with pricing display due to Google's buyer currency. Working on fixing it. if you are on a slow connection app may take longer to load. Use 3G or wi-fi for best user experience. Tags: Android market, US, USA, AppBrain, App Brain, 1Mobile, 1 Mobile, imdb, IMDB Mobile. Developers: Do you have a new app and don't know how to market it? Please contact us for a place in editors picks where you can improve your initial downloads.